FASHION WITH A DIFFERENCE 2013. 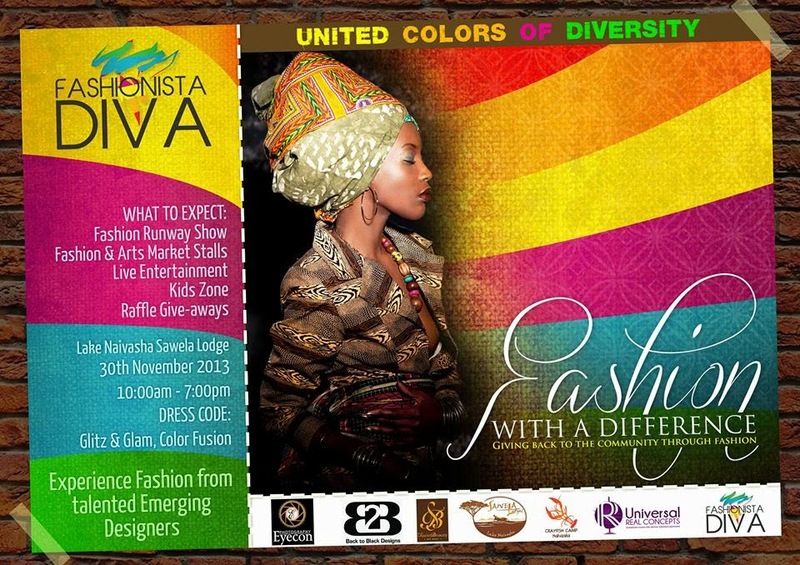 FASHION WITH A DIFFERENCE is an annual themed event in Kenya aimed at giving back to the community through fashion and this time around its being held at Lake Naivasha Sawela Lodge on the 30th of November 2013. This charitable event raises funds for a number of children’s charitable organisations in Kenya especially those that deal with, vulnerable, abandoned, neglected, orphaned, disabled and/or living on the streets that are particularly at risk of trafficking or exploitation. 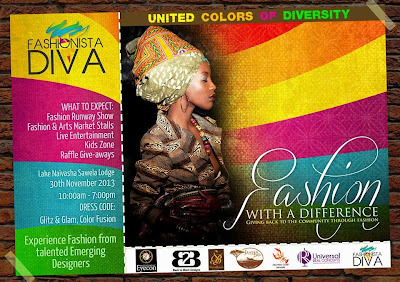 To coincide with Kenya’s 50years of independence, their 1st annual event theme will be ‘UNITED COLOURS OF DIVERSITY’. Their theme this year will be based on the cultural and ethnic diversity of Kenya . As a nation we need to preserve, maintain and promote the rich diverse cultural values of the different ethnic groups in Kenya. The event starts at 10am - 7pm and the dress code is Glitsz and Glam, Colour Fusion. So save the DATE and see you all down at Lake Naivasha Sawela Lodge.